Case Study: What is important for SEO in 2016? You might notice that in January 2016 there is fall in the number of posts on this blog except the series of the interview which is being handled by one of our team members Raghavan. Reasons behind this are that I was busy in collecting the data and information to complete the composing this post. Well, this post will guide you all about what's important for SEO in 2016. After this long study and researches, I came to know many amazing facts and shocking results. Web owners always have some questions in their minds like which factors correlate with first-page search engine rankings? I know, Majority of answers favor me by saying yes you are right. In the study, I looked at contents, backlinks, keyword density, and Alexa speed of the site. 1. Yes, Content-length matters a lot but what should be the length for an appropriate post? 2. Backlinks matter in SEO or not in 2016 according to latest search algorithm by google? Yes, but not in the way you think. 3. Keyword stuffing is bad for SEO. Then what would be the ideal density of keywords? 4. Will the speed of websites be matter in ranking and SEO according to latest algorithms? 5. How I should make my new strategies to rank higher in SERP's? Here, before proceeding this writing, I would like to make you know that now HTTPS has a reasonably strong correlation with first page Google rankings. Google has confirmed HTTPS as a ranking signal. Blogspot users turn on HTTPs for their blogs for free. Here is the guide to turn of HTTPS for blogspot. Longer content tends to rank higher in Google’s search results. The average Google first page result contains 1900 words. Sometimes it ranks the shorter posts too because the availability and lack of competition for that content. Tip: If you are working on this type of niche and your competitors are well ranked for shorter posts then there is a golden opportunity for you to rank yourself. Simple, just write on the same topic and provide more and more additional useful information in the post. But never mention boring articles or explanation because readers don't like unwanted information to read and they simply ignore your article and go somewhere else. Adding images, visual contents including videos and infographics would preferable in this case. Also, work in a manner to make yourself unique and generate ideas which look different that would be liked by your readers. That's the only secret to generating quality contents. Also, longer content boosts your page’s topical relevancy, which gives Google a deeper understanding of your content’s topic and reflects site owners that care about publishing excellent content. You may use some online apps to generate ideas for the content. Here is the list of 8 amazing content creation tools. Backlinks are still playing an important role in rankings. The Number of referring domains has a very strong influence on rankings. It’s better to get 10 links from 10 different sites than 10 links from the same domain. You will be cleared with the help of following infographics, which I created in MS-Paint show the relevance of backlinks visually. Tip: Here I have tip for guest post writers, who write guest posts to earn backlinks for their own sites, should try to get backlinks from different sites instead of writing for the same site again and again. As I already stated that unique referring domains work better. I have tested and checked for more than 100 sites and results before writing this. At that time what I found, almost all the sites ranked between #1-#10 on first page had large number of unique referring domains. You can check it yourself also. Find any branded search term in google, open any of the links shown on the first page. 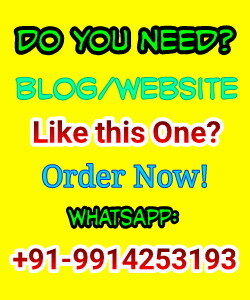 Now copy the domain of that page and do find out the number of backlinks. For this you can use Ahrefs or Alexa.com. Alexa also tells estimated numbers of backlinks. Here data from Alexa and Ahrefs don't match but would give you the estimates. Keyword stuffing may lead to a website being banned or penalized in search ranking on major search engines either temporarily or permanently. It is the process of excessive use of targeted keywords in the post. Ram is a good boy. Ram is smart. I know Ram, one of my friend also knows Ram and yesterday Ram met me at shop and I went with Ram for the drink. Here the keyword 'Ram' is considered as keyword stuffing. It won't help you to rank for this keyword but will penalize you. To avoid keyword stuffing, you can use synonyms for the keywords but still remember some major search engines also take synonyms as the repetition on keywords. You can also use pronouns if possible. You should try to avoid the repetition by improving your writing skills and generating unique ideas to write. What is the average density of keywords to avoid stuffing? "In general, you don't need to use your keyword more than 3 times in your page - in the title, meta description, and once in the body." Site speed matters. Based on data from Alexa, pages on fast-loading sites rank significantly higher than pages on slow-loading sites. Other tool developed by Google to check your site speed is PageSpeed Insights. 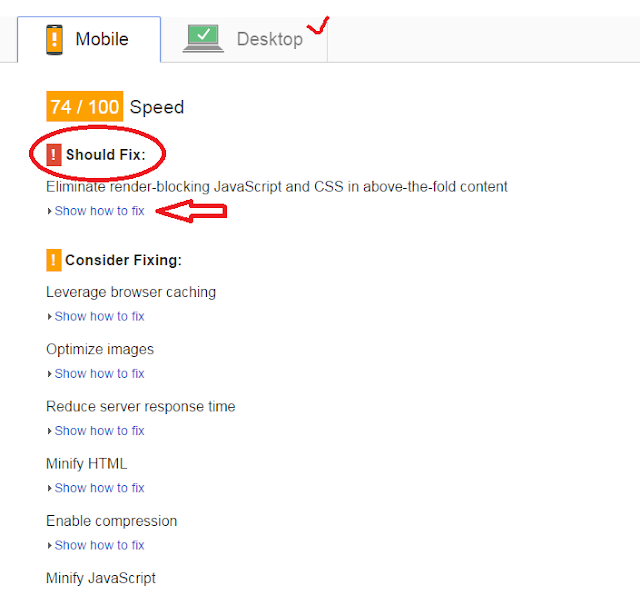 It will also help you to check the speed of your site and also suggest you the issues causing delay in loading your site and increasing the loading time of your site. You can solve that issues to make it more faster. Look at below given screenshot to know how it helps. Readers also ignore and avoid to open the sites which take more time in opening. In search results, major search engines like Google also highlight the links which takes more time in loading. Luckily, if slow sites rank then users avoid that and go for other competitor sites. 1. Write lengthy quality contents. Length matters a lot in rankings and it also increase the average time on site by visitors, which would help in boosting your alexa rank and attract advertisers too. 3. Write for your readers not for search engines. Search engines use bots to read your content, they don't have any feelings or sense but your readers have. If your readers are not being satisfied with your contents then search engines crawlers will also hate your web pages. Now decision is yours. 4. Give full and appropriate knowledge on the topic you are writing. Using suspenses in the post seems good but don't forget to reveal the suspenses at last. If you can't then your readers would be disappointed. 5. Use at least one image in your post. Content with at least one image significantly outperformed content without any images. Embedding videos and adding infographics in post would help you make your posts viral. 6. Try to build quality links. To earn backlinks you can help other bloggers by writing for them and adding link of your site in that post. If you can't write guest posts then you should use broken link strategy to build backlinks. Here is the guide to use broken links to build links. 7. Avoid selling or buying paid links. It will ruin your blog. 8. Nofollow links from high authority sites are also still important for domain authority. 9. Focus on making your site faster and try to reduce the loading time of your site by removing unwanted and excessive CSS design from your sites. 10. Make your site looking simple and user friendly. 11. Your site must be mobile friendly. 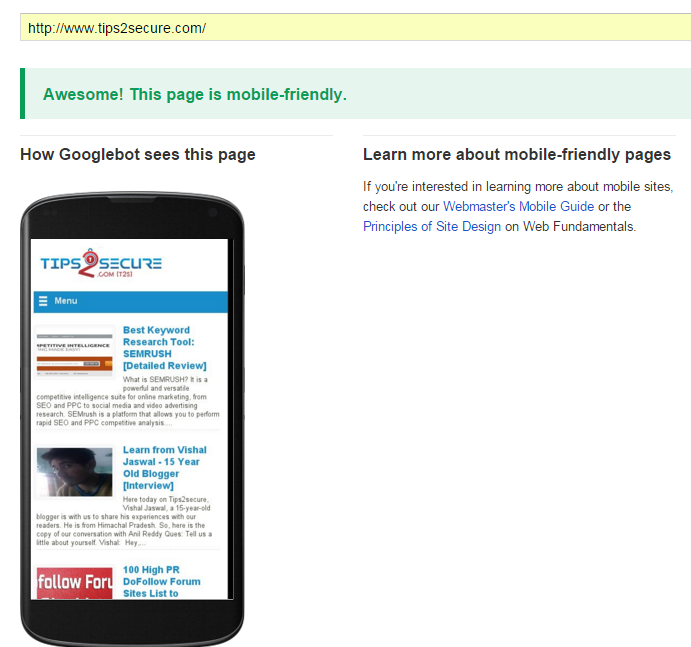 Mobile friendliness is one of the major signals in search engine ranking algorithms. You can check mobile friendliness of your site here. 12. Despite Google’s many Penguin updates, exact match anchor text still appears to have a strong influence on rankings. 13. Try to lower bounce rate of your site. For this you can add more interesting articles of same category posts and show it in related post widgets. Related posts widget helps you oin lowering the bounce rate as it is associated with higher Google rankings. You should also read how I make this blog rank higher in search engines. Here is the guide of steps I used to score rank in Google. 1. Search engine bots understand the meaning of the questions you search in Google and provide the exact answer. Google is not fully dependent on the keywords to rank the things. This screenshot would help you. 2. Comprehensive content significantly outperformed shallow content. A very low topical authority score would be the reason of low rankings.Writing comprehensive, in-depth content can help you rank higher in search engines. 3. You can also rank for related terms without having that specific keyword in your posts but only if you have well written quality post. For example, You published a post for 'SEO service providers' but it may also rank for the search term 'SEO services in USA', even if you did not any signle word of 'USA' in your post. But that's all would depend on the quality and content of your post. 5. 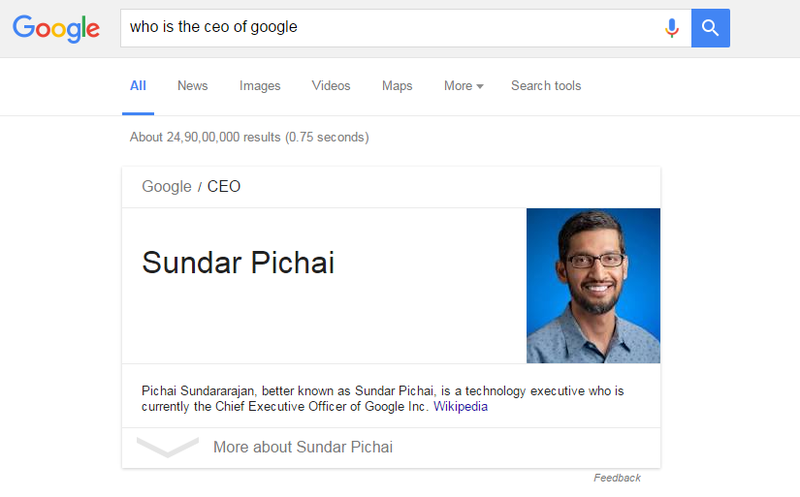 Google may add structured markup and data to ranking algorithm in future but at present it is not. You can use Schema to show ratings for products on your ecommerce site. According to some experts, Schema markup gives search engines a better understanding of what your content means. But it is still not taken as ranking algorithm. I would like to hear opinions of readers about this post. I want to know the views and comments of what you think about the changes which have been made recently in SEO strategies and ranking algorithms. Message: I hope that you have enjoyed this case study of 'What is important for SEO in 2016?' article. However, if you want me to deliver more items, then please share my post. You can use Social Sharing Widget provided at the end of every post. After all, Sharing is Caring! Am not tech savvy so will need to have these things looked by an expert for my blog kiteonfriend.com. Hmmm.... you can find here lots of useful stuffs like this here. So stay updated and keep reading this blog. I am glad you liked this case study. I m glad you liked this post. Yes, adding too much of affiliate banners and external links to sidebar are always bad for SEO practices. Awesome article. I love this article a bunch. I blog at www.Naijalads.com. Much love from Naijalads to Tips2secure.com Tips. There are a lot of useful tips in here. How long have you studied these? Thank you very much for your time and effort in sharing your observations! Yes, really enjoyed a lot, Good sharing about SEO techies & it will be useful for every bloggers and even to me too.